Lots of Marvel Cinematic Universe Spoilers Below. …Is it a reasonable thing to ask of Earth’s Mightiest Heroes to ensure a net-zero death toll when unhinged psychopaths attack major cities? Of course not. But after the Avengers once again found themselves amidst a crumbling metropolis in Sokovia, the United Nations banded together to develop a better system of accountability for “enhanced” persons. 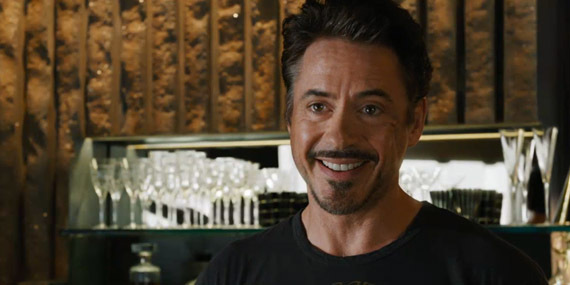 Steve Rogers, ever the arrogant, short-sighted rebel, has decided for himself that the world isn’t his own personal sandbox, but Tony Stark had other plans – and so did a few of his friends. After a major tragedy in Civil War, Cap, on a whim, goes on the run to save his friend Bucky. 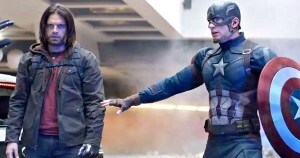 Mind you, all evidence in the beginning of the film points to Bucky being a heartless, mindless killer (both correct points), yet Cap doesn’t pursue him to seek the truth (initially), he gives chase to get to the Winter Soldier before the German Special Forces does, so he can warn Bucky to get a head start and escape conviction. Later, Cap does stumble upon a greater conspiracy – but only after beating the holy hell out of whatever the German equivalent of the National Guard is, an act alone that could’ve been seen as a real act of real war had the American and German governments not restrained themselves. Smart thinking, Steve. Fail to plan, plan to fail. Right, Banner? While Captain America decides to turn an apartment building into a World War II re-enactment scene, Tony Stark continues to plead with a group of other superheroes that they simply require a little bit more supervision than they might guess. 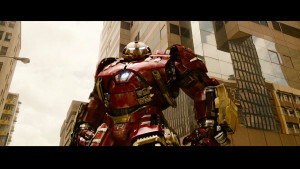 Banner and Stark clearly came to terms on this “supervision” protocol back in Age of Ultron, since it was made clear that human Banner was aware that Tony had build the Hulkbuster suit as a means of stopping him if (and when) he inevitably lost control… And would you look at that – planning for the future worked (kinda)! In the comics, heroes fought over the Superhero Registration Act instead of the Sokovia Accords. While I don’t know what the differences are (the terms weren’t really explained in the movie), the SRA actually showed promise for metahumans who were willing to cooperate. And if the hero in question was a little too reckless or unskilled with their abilities, the SRA actually provided an 8-week training to help them control their powers, and if they passed they would be allowed to use their powers freely. The SRA also helped form a new superhero team in every state, and was followed by a period of peace across the United States. Heroes collaborated more effectively, tracking down villains in half the time with almost no collateral damage. This isn’t fascism, its common sense. Superheroes need regulations too, and Marvel is not the only canon or universe that we see magical or extraordinary beings urged to get their abilities in check before they use them (Harry Potter and Hogwarts, for one). Although I am very glad that everybody was still on speaking terms in the end, Iron Man was still right, and I took personal joy in him tearing Bucky’s arm off and almost beating him to death with it. If Winter Soldier hadn’t been helping out, I have no problem believing he could’ve taken Cap down in single combat too. 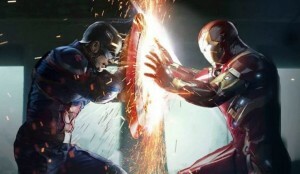 He’s proven that his technology and cunning is superior to Cap’s thick skull and fancy garbage can lid. What do you think? Chime in at @WickedGoodGames to voice your opinion on who was right and who was wrong.